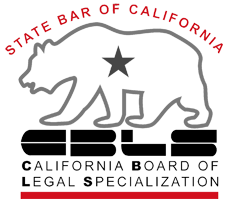 How is Collaborative Law Different From Mediation OC CA? 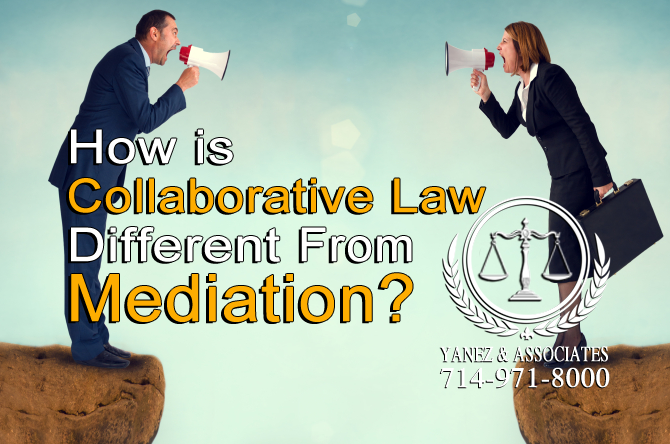 How is Collaborative Law Different From Mediation in Southern California? Successfully getting a divorce in Southern California involves a lot of decision-making, including deciding how you are going to make decisions. There are several options available to you, ranging from completely going at it on your own to letting the court make your decisions for you. One of the in between options is an option called alternative dispute resolution. The purpose of alternative dispute resolution is to offer those going through a divorce to work through their own disagreements about their divorces instead of leaving the decisions up to the court, while still providing some professional and legal guidance to the divorcing couple. There are two types of alternative dispute resolution that are commonly used in Southern California: divorce mediation and collaborative divorce, which is sometimes called collaborative law. The goal of a collaborative divorce is to work with your spouse or partner, rather than against him or her, which is what litigation often encourages. The two of you, through your collaboration, will work to resolve the issues that you have without going into the courtroom. A collaborative divorce allows both parties to have legal counsel while working through their issues and creating a mutually beneficial divorce agreement that is both legal and fair. Prior to agreeing to a collaborative divorce, both parties usually sign an agreement stating that they both want a collaboration, that neither party wants to take the divorce to court, and that neither party will take the divorce to court without first speaking to the other party. This agreement and the process of collaborative law require both parties to be respectful, reasonable, fair and thoughtful. During a collaborative divorce, both spouses or domestic partners will work with one another to negotiate the terms of their divorce agreement. Both sides will have attorneys present during negotiations. An attorney that can help you through the process of a collaborative divorce will have special training in collaborative law. During their training, both attorneys will have learned how to advise their client not on the best stance to take, but on how to negotiate, compromise, and work towards a fair middle ground. Instead of taking a defensive and adversarial position, the attorneys and their clients will both need to work towards a mutually beneficial agreement. Usually, a collaborative divorce begins with each party and their own attorney meeting separately from the other party. When your lawyer understands what you are looking for in your divorce, you will meet with your spouse or partner, and his or her lawyer. These meetings, both together with your spouse or partner and on your own with your divorce lawyer can go on for as long as you need them to before you can set the terms of your divorce. In some cases, it may be necessary to request assistance from another kind of professional, like a child custody specialist, an accountant, or an estate planning lawyer. If you cannot come to an agreement on everything regarding your divorce through collaborative law, you may choose for some or all of your divorce agreement to be determined in court. If this is the case, neither you or your spouse or partner may bring the same attorney that was present throughout your collaborative divorce into the trial; both parties need to hire new divorce lawyers. Why Would I Choose a Collaborative Divorce? Collaborative divorce is not right for every couple, but in some situations, it can be extremely beneficial. If you and your spouse or partner are divorcing because domestic violence or any kind of abuse played a role in your relationship, please consider your safety and wellbeing and the safety and wellbeing of your spouse or partner before suggesting or agreeing to collaborative law. A litigated divorce may be a better option for you. However, if you are on speaking terms and you want to work together, or you want to work on your communication skills with your spouse or partner, collaborative law may be a great opportunity to do so. Setting the terms of your own divorce also allow you to have more control over the outcome of your divorce, and when parties have control over the outcome, they are more likely to follow the terms of the court order. A divorce order can affect your relationship with your children, your finances, and where you live. Nobody knows you and your life like you do, so why would someone else create a legal document that dictates how you will need to live your life following a divorce? You and your spouse will need to agree to the following in order to successfully navigate a collaborative divorce. • Both parties are okay with foregoing a litigated divorce. If, at any point during the collaborative divorce, either party wants to move into litigation, they will discuss it with the other party, and both parties will find new divorce attorneys. This means that both parties will need to be open to potentially accepting the cost of hiring a new lawyer should collaborative law fail. However, the goal of a collaborative divorce is to find a resolution to the couple’s issues without going to trial. • Both parties must agree to full disclosure. A collaborative divorce cannot work if either party is hiding information, assets, property, etc. from the other party. This also means that you and your spouse need to be able to trust one another. • If any experts are necessary to get through the divorce, from finance experts to child custody professionals, the parties will either both need to hire their own, or share the cost. • Usually, neither party has filed any sort of divorce petition at the time that a collaborative divorce begins. This allows the parties to take their time and file an uncontested divorce, together, so that the process of filing can be simpler. Remember that no divorce can be finalized in California for at least six months from the date the initial petition was filed. There are many benefits to choosing to resolve your divorce through the process of collaborative law. Choosing any type of alternative dispute resolution offers both parties numerous benefits, from flexibility to saving money. • Unlike in a courtroom, you are free to speak your mind and negotiate as much as you want to in a collaborative law negotiation. The outcome of your divorce is up to you and your spouse or partner, not a judge. • Generally, collaborative law is less expensive than litigated divorce. Even though you are required to hire a lawyer, you don’t have to worry about spending additional time and money to meet the court’s requirements. • You will have the flexibility of arranging your own time and place to meet with your lawyer, and with your spouse or partner and his or her lawyer. You won’t waste time waiting for the court or the judge to be available, and you may even be able to meet after hours if your lawyers are up for it. There are several ways that a collaborative divorce differs from mediation. Unlike mediation, collaborative law allows both parties to have an attorney present during negotiations. Collaborative divorces also require both parties to hire an attorney that is trained in collaborative law. Mediation, on the other hand, does not require either party to hire an attorney with any special training. During mediation, it is advised that both parties consult with a divorce attorney outside of mediation, so that they can prepare themselves better for mediation, and understand their options. Mediation is supervised by a trained mediator, whose job is to remain neutral and facilitate a helpful discussion between the two parties. Collaborative law requires both parties to work together with the assistance of their own attorneys, but there is no neutral, guiding party to oversee the process. Both processes may require the assistance of professionals, including accountants or child custody professionals, but these professionals are generally not present during mediation, while they may be present in a meeting during a collaborative divorce. While both processes are different, their end goal is the same. At the end of both types of alternative dispute resolution, the goal is to have created a divorce agreement to which both parties agree. Orange County Collaborative Divorce Lawyers are able to help you with WIN-WIN Strategies! The first step in your divorce, before filing your divorce papers, is to find an attorney to help you through the process. If you are considering a collaborative divorce, you will need to work with your spouse or partner and with your lawyer to set up a collaborative law agreement. Remember that a collaborative divorce is not for everyone, and you should discuss the option with an attorney before you agree to one with your partner or spouse. At Yanez & Associates, we offer free initial consultations for new clients. That means that you can come in and speak with us about your impending divorce, including any questions you may have about collaborative law before you make any decisions about your divorce or about hiring a divorce lawyer. Contact us today to schedule your free initial consultation. 1 How is Collaborative Law Different From Mediation in Southern California? 3 What is a Collaborative Divorce? 4 Why Would I Choose a Collaborative Divorce? 5 How is Collaborative Law Different From Mediation? Collaborative Divorce, Collaborative Divorce in Southern California, How is Collaborative Law Different From Mediation?, Orange County Collaborative Divorce Lawyers, Orange County Collaborative Law Attorneys, The Differences of Divorce Mediation and Collaborative Divorce, What is a Collaborative Divorce?, Why Would I Choose a Collaborative Divorce?